WPS - WATER PIPE SYSTEM GMBH, Constructii tubulare, Racorduri din plastic pentru tuburi si tevi, Plastic drainage pipes, pe EUROPAGES. Your partner for versatile solutions in the corrugated pipe sector. 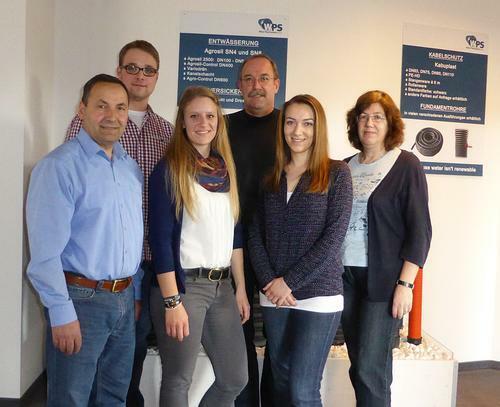 WPS – Water Pipe System GmbH was founded on 13.01.2011 in Vechta. Production and distribution operations take place at our site in Rain am Lech, Bavaria. WPS produces corrugated pipe systems in a tried-and-tested composite pipe design. Our range of products includes: Drain pipes, seepage pipes, rainwater pipes, wastewater pipes and cable conduits, as well as many other special solutions. Our WPS pipes are an innovative approach to solving water problems that arise as a result of a rapidly increasing global population and the effects of global warming. Thanks to decades of experience, our employees involved in the development, production and marketing of intelligent pipe systems can now provide customers with customised services in the pipe business.